BC2014 is packed with BC2015 as BC2014-2 Cuckoo/Killer Bees. 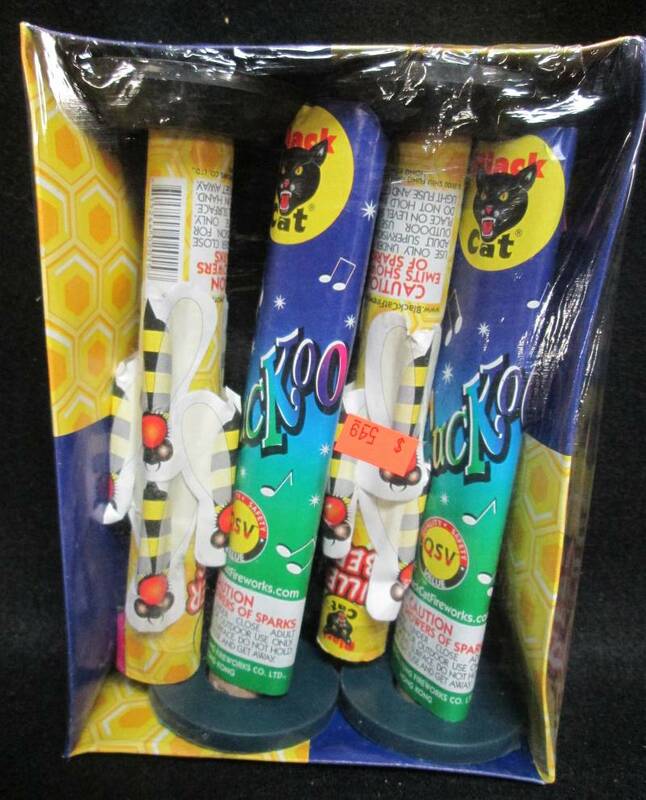 The Cuckoo fountain has been around for a long time and we've always kept its original full effects with multi-colored showering sparks and 2 very loud whistles and upgraded the packaging. Go ahead and compare, but for longer lasting effects the value of our Cuckoo is second to none. Another old favorite, the Killer Bees fountain has been around since the 1980's but we've brought it back to its original performance with longer lasting colored sparks and "bees" that really whistle.